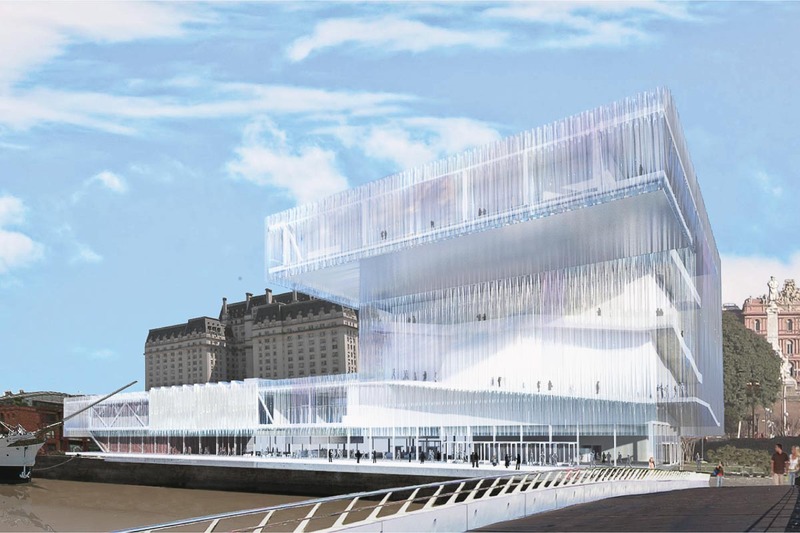 The proposed Buenos Aires New Contemporary Art Museum is uniquely situated on a prominent urban axis that extends from Avenida De Mayo to the sea. 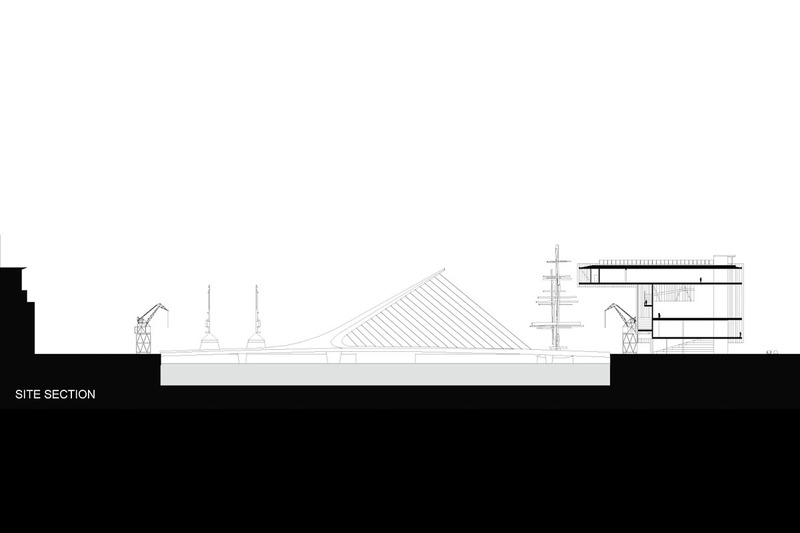 Equally so, this axis has been rearticulated by the addition of a bridge that connects the city with the extended fabric and a biological preserve. 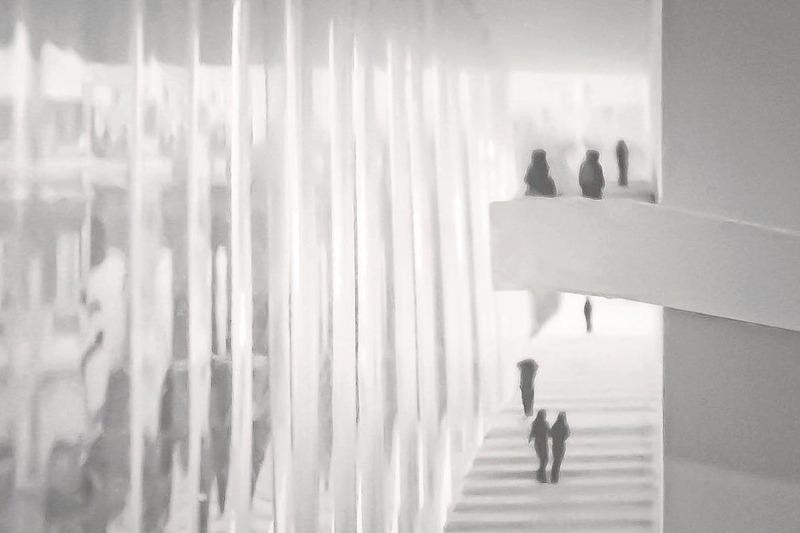 The urban gesture of the project in this context creates heightened interaction between the boardwalk, museum and the city’s axis by implanting an oppositional gesture to the bridge. 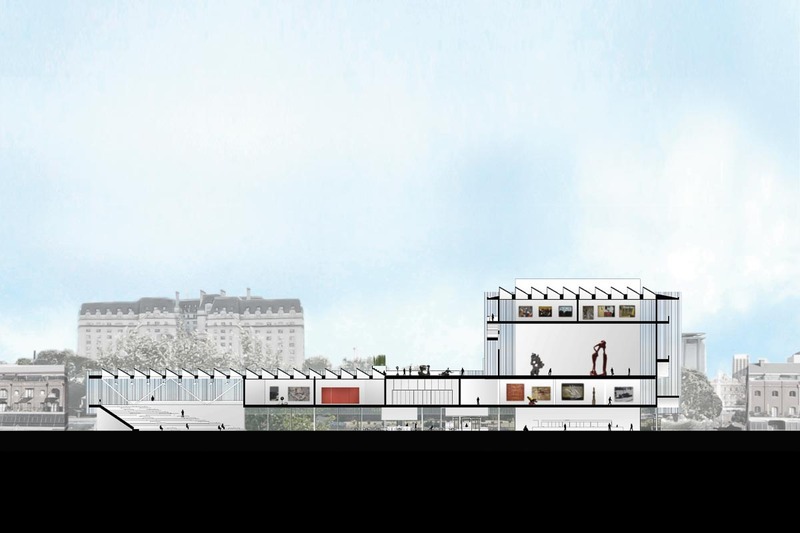 It creates a moment of pause that deemphasizes the long urban axis of Av De Mayo by the mediation between the axis along the boardwalk through the openness of the ground plane of the museum. 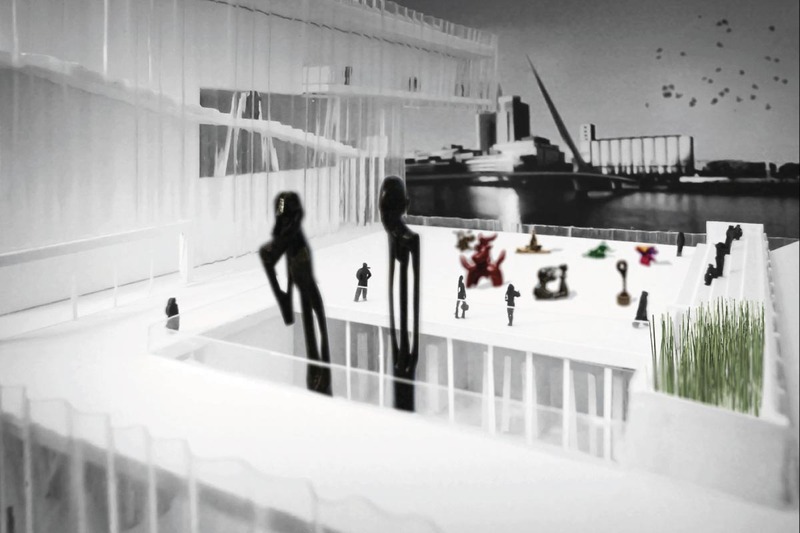 The museum journey extends from the first floor open plane in ascending loops around the gallery tower offering ever-changing views of the city and museum through the experience of art, city, water, and skyline. Throughout this journey moments of rest provide opportunities to experience the museum/public/city engaging in different situations. 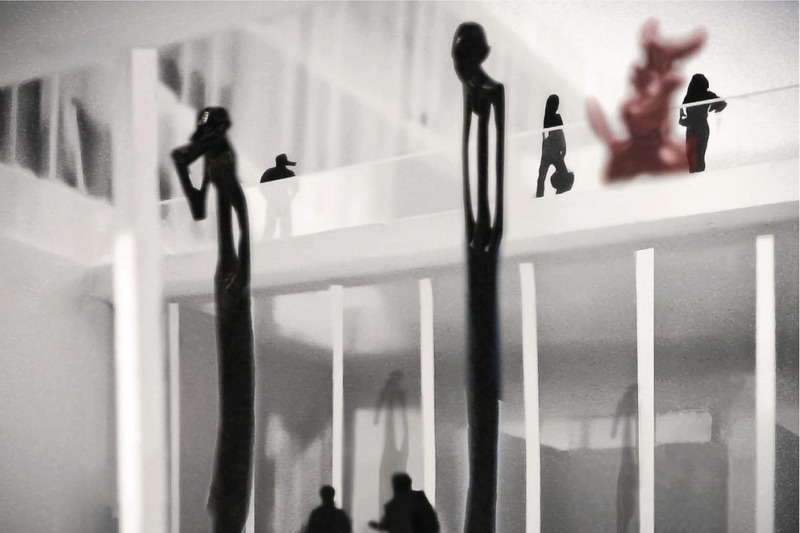 In particular the courtyard mini cafe, sculpture garden, and sky bar are rewarding moments along the path through the museum. The structural system is a hybrid system that consists of steel trusses and concrete slabs and core. 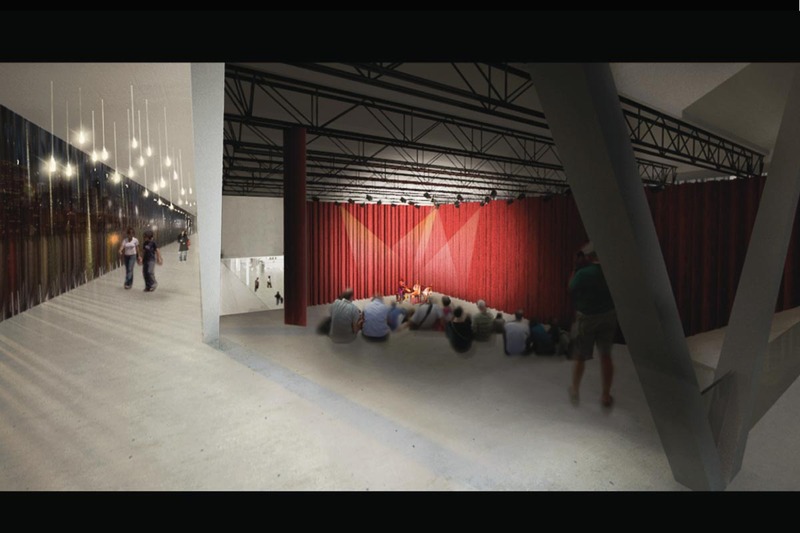 The 3rd floor 12m gallery is an entirely column free space that provides limitless configuration possibilities in both plan and section. Saw-tooth roof skylights provide naturally controlled day lighting from the South over galleries (1 and 4) and the auditorium space. 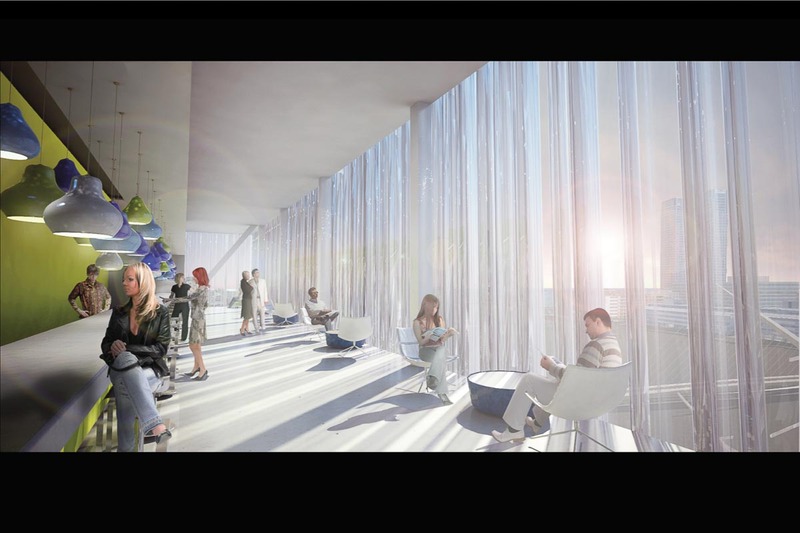 The undulating fritted glass envelope allows daylight for all circulation and open spaces at the perimeter of all floors above the ground floor. Photovoltaic and solar thermal panels located on the tops of all Saw-tooth roofs perform as an integrated energy system. The configuration of the envelope produces a microclimatic chimney effect through solar heat gain that naturally creates vertical ventilation up drafting. 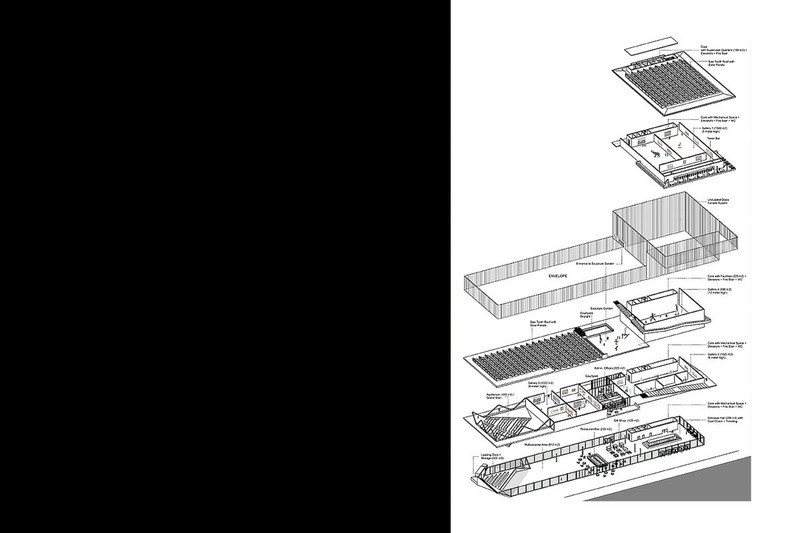 The envelope also allows for controlled heat gain in the thermal mass of the museum’s vertical circulation core. The hierarchy of condition spaces are defined by two relationships closed and semi-closed. 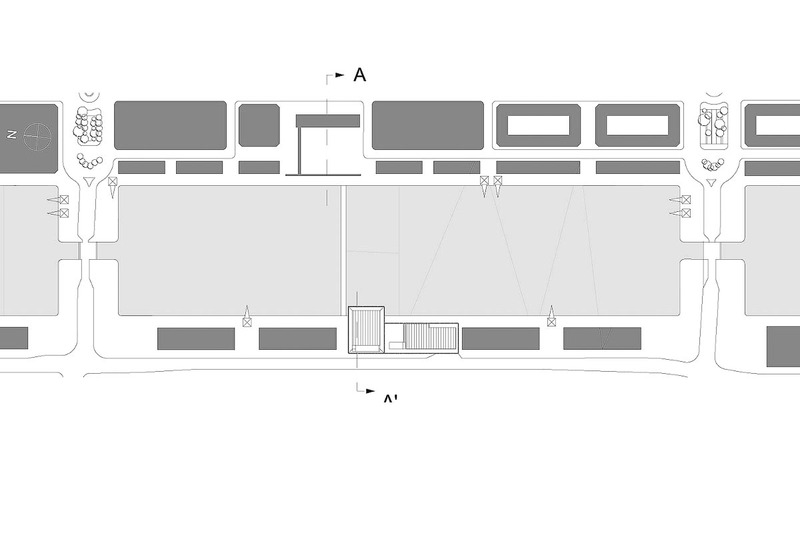 The climatically controlled gallery spaces are surrounded by a buffer zone, the undulating envelop configuration around the museum, that is a responsive system that mediates all environmental contexts. A 60cm deep undulating glass envelope provides structural stability against lateral loads and increases vertical stiffening for self-support. Along with the sustainable and environmental advantages already listed the quality of the experience of the city is to be noted. 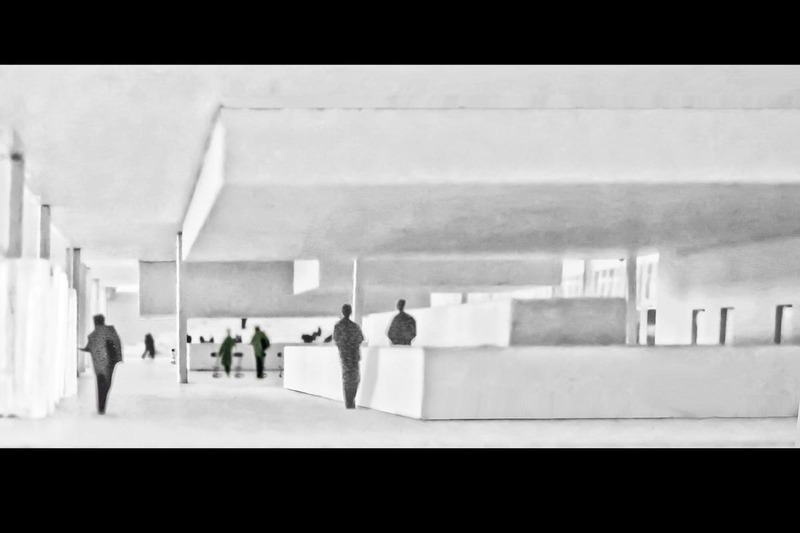 When viewed through acute angles visual density that creates an ephemeral experience of the city from the inside and the interior of the museum from the outside. At close distances the envelope creates a visual lenticular effect, a kaleidoscopic vision of the city through the assent and movement along the envelope on the path to the upper galleries. From the exterior, the veiling of the museum produces transparency with increasing distance. 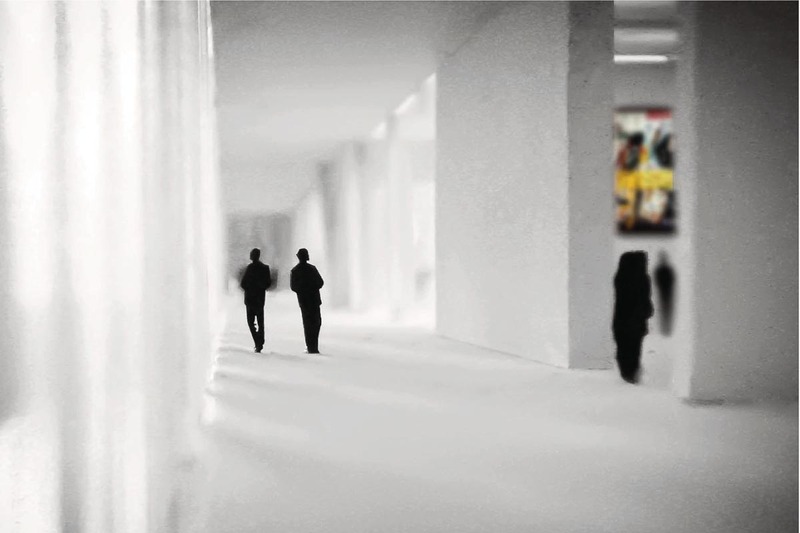 The museum patrons are seen through this veil with the backdrop of the museum gallery volumes. The program is organized through a series of elemental voids and volumes. Volumes: The galleries float above an open ground floor plane and grow in density from the South to the Northern most location of the site where they culminate as a stacked tower of “white boxes”. A vertical core connects the stacked tower that houses all utility services such as elevators, fire stair, washrooms, mechanical rooms and a maintenance staff area located in the shaft head above the roof plane. 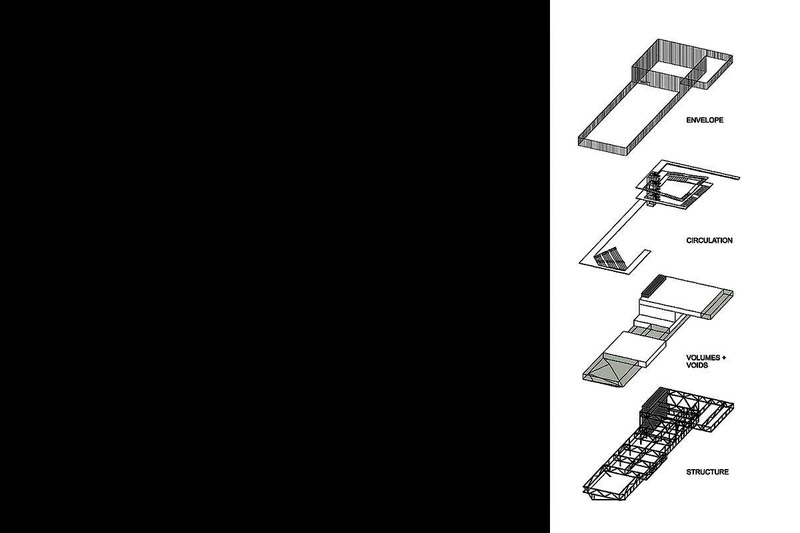 The entry plane is an open space that functions as a direct extension of the city into the museum and vise versa. 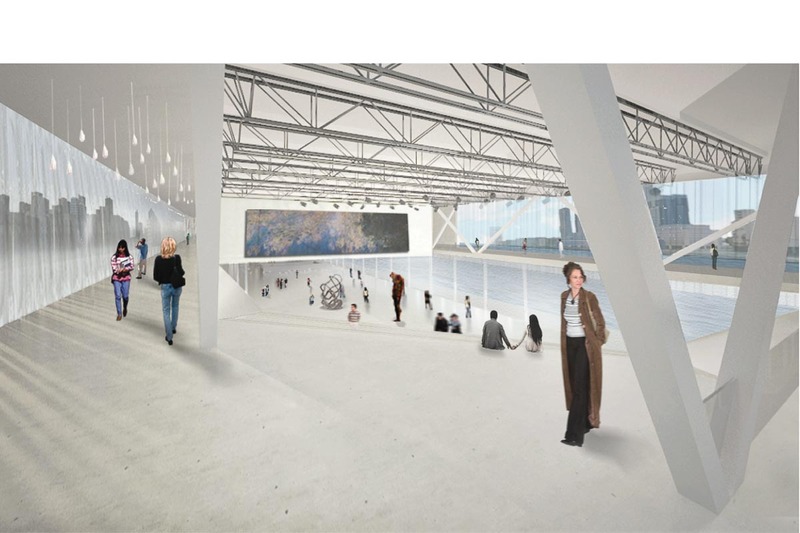 The following programs are organized as a series of interactive zones; entry area with ticket counter and coat check in the north, gift shop, restaurant bar, multipurpose space, and auditorium space. The following programs are organized in contained space; the loading dock in the south, and the utility spaces in the core.